1. How often do I need to get my ring checked? 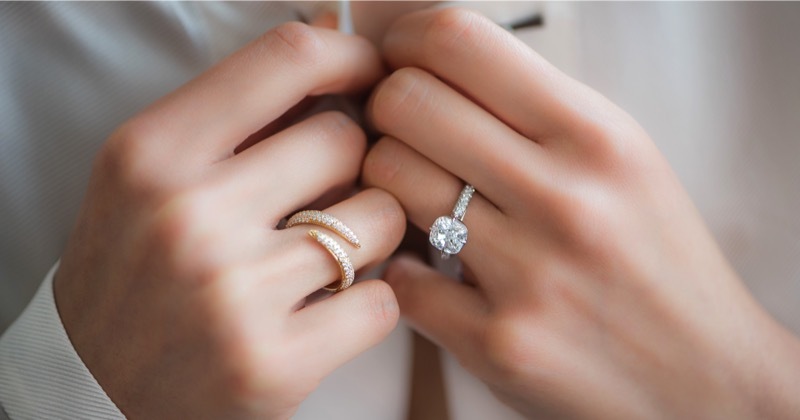 We recommend seeing your jeweler every 6-12 months to check stones, make sure nothing is loose, ensure the prongs are in tact and have it professionally cleaned. 2. Why do I have to take my ring off every night? You don’t know what you’re doing when you’re asleep! Taking your ring off before bed is a good habit so your ring doesn’t change shape and stones don’t come loose. 3. Why can’t I wear my birthstone every day? We recommend diamonds, sapphires and rubies for daily wear. All other gemstones should be worn with caution in rings since they are softer and more likely to scratch, chip or break if worn every day. 4. Is bespoke more expensive? Yes, because each piece is crafted one-by-one. They are one-of-a-kind designs, whereas a casted piece is made by the dozens. 5. How long do designs take? For bespoke pieces, we recommend around 3-4 weeks to give time to pick out the stones, design the piece and have it handmade by our goldsmith. 6. Can I have my own metal melted down and reused? Yes, but recommend using platinum or gold that is at least 18 karat. 7. Can I use my own stones in a custom piece? Absolutely! 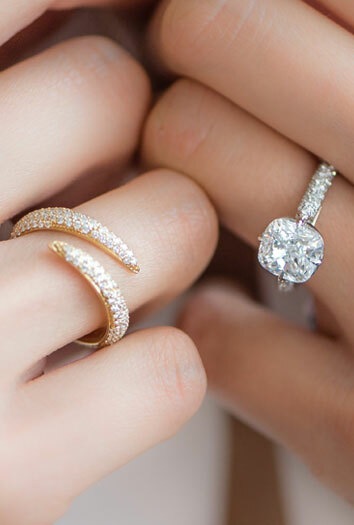 We encourage redesigning jewelry to make it more wearable. 8. What if I don’t like my bespoke ring? That’s the beauty of bespoke! We will work with you to ensure you are happy with your piece. 9. Is my bespoke jewelry more delicate? It is more delicate but it is not fragile. Handmade jewelry is more resilient because of the attention paid to each part of the process. 10. What’s the best way to care for my jewelry? Take it off every night and clean it with a soft bristle toothbrush with warm soapy water or Windex.